Western pleasure demonstrates the smooth movements and good disposition of the American Paint Horse. 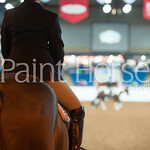 In this class, exhibitors compete as a group, walking, jogging and loping their horses in both directions within the ring. At the completion of this “rail work,” contestants line up in the center of the ring and individually back their horses. Judges evaluate the ease with which a horse moves, how smoothly it makes transitions in gait and its willingness to back calmly. Western riding requires horses to demonstrate intricate footwork while crossing over a pole and loping at a reasonable speed around markers uniformly positioned in the show ring. Points are awarded to the horse for calmly and correctly changing leads between markers, smoothly making gait transitions, negotiating the pole without a fault, readily backing, and accurately and smoothly performing the pattern. Trail is a perfect class for Paint Horses because of their calm disposition. Horses in this event are judged on their ability to negotiate six to eight obstacles. They must also demonstrate a pleasurable walk, jog and lope in a responsive and willing manner. Those participating in Western horsemanship demonstrate their riding skills using Western-style tack. In addition to group rail work, riders individually put their mounts through a variety of maneuvers designed to test a competitor’s ability to control his or her horse. 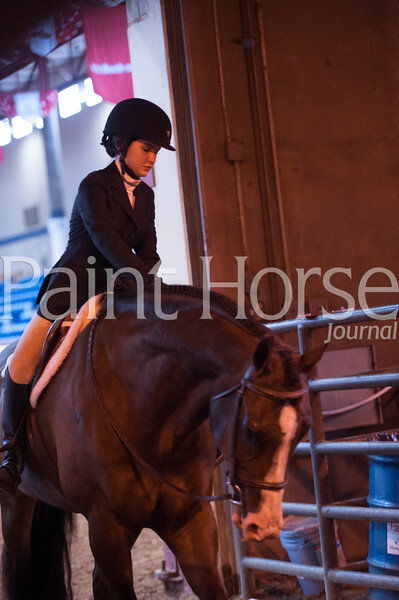 Judges also evaluate the rider’s posture in the saddle. Reining is one of the most challenging of the World Show’s classes because the horse and rider must smoothly combine a variety of maneuvers ranging from collected lopes and bursts of speed to sliding stops and quick changes of direction. This combination of elements makes the class a spectator favorite. In reining, horses perform one of 10 possible patterns. The judges select which pattern will be ridden at a specific event. A pattern generally includes lead changes, transitions in speed, stops, backing, rollbacks and multiple spins. Judges score each performance based on the horse’s proficiency in executing the maneuvers correctly. In heading, a horse begins the event behind a barrier and is judged on its ability to place its rider in a position to throw a loop around the horns of a steer. A heading horse is also judged on its ability to turn the steer in a manner that best allows the heeler to rope the steer’s two hind feet. Heeling horses, on the other hand, are judged on their ability to place their riders in a position to throw a rope around a steer’s hind legs. 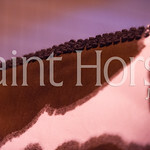 Judges also evaluate a heeling horse’s ability to stop and keep the rope taut until the header turns to face the steer. A horse may be entered in both the heading and heeling events. If either the header or the heeler misses a catch after two loops are thrown, or if they drop the rope, the horse being judged is disqualified. 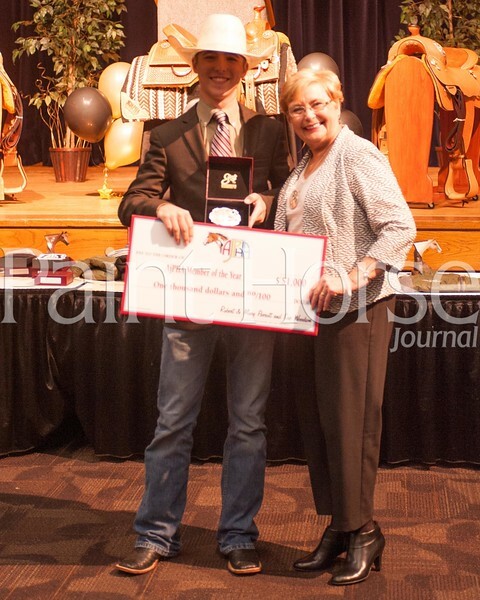 Judged on its manners while standing behind the barrier, its rate of speed while chasing the steer, and the ability to stop and turn the steer to face it once the animal is roped, a Paint Horse entered in steer stopping is required to demonstrate many of the same skills seen in heading competition. However, there are no heelers in steer stopping. 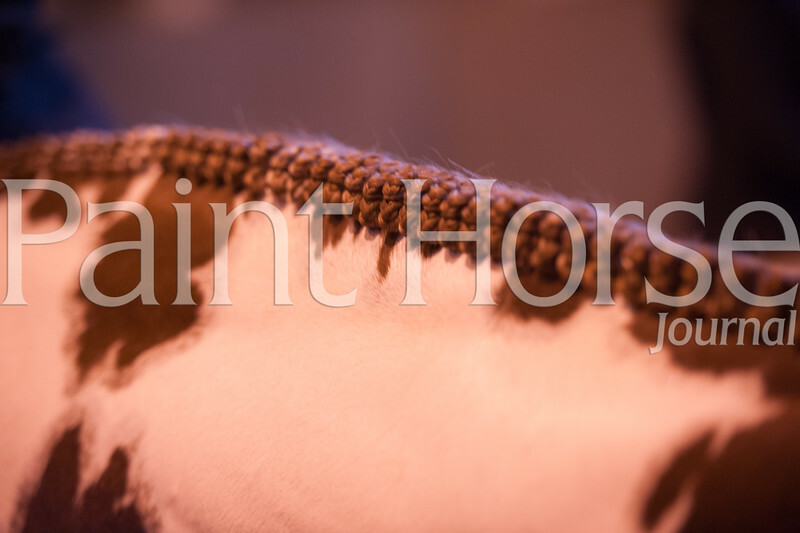 If the rider fails to catch the horns or neck of the steer within one minute or two loops in Open classes, or two minutes or two loops in Amateur or Youth classes, the horse is disqualified. Combining the various maneuvers seen in the reining class with the demands of controlling a cow, the working cow horse event showcases the athletic ability of today’s Paint Horse. In this competition, horses are put through their paces in “dry work,” which consists of performing a designated reining-type pattern. They are then tested on their ability to go one-on-one with a cow. During the cattle portion of the event, horses are asked to hold and turn a cow, as well as control the animal by moving it in circles. Judges award points for a horse’s responsiveness to its rider and its ability to demonstrate control while working at a reasonable speed. In this event, horses must calmly enter a herd of cattle, drive and separate a single cow form the herd, and then keep the cow from re-entering the herd. Generally, an exhibitor asks his or her horse to individually work two or three different cows within the 2 1/2-minute time limit. In this event, the horse is evaluated on its ability to place its rider in a position to rope a calf. 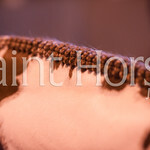 The horse’s ability to keep the rope taut while the rider dismounts and ties three of the calf’s legs is also evaluated. Time is not a factor. 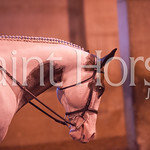 Throughout the event, the horse must maintain a quiet and well-mannered disposition. Horses begin the competition behind a barrier that snaps away when the calf reaches the designated distance it is allowed as a head start. If a horse breaks the barrier before the calf has been allowed its start, a deduction is made from the horse’s score. Similar to tie-down roping in that a horse must place its rider in a position to throw a well-aimed loop, breakaway roping is a timed event that does not require the rider to dismount after the catch is made. Instead, the rope is attached to the saddle horn with a piece of string, and when the horse stops, the rope breaks loose, indicating the performance is complete. Team penning matches a group of three horse-and-rider pairs against a sometimes obstinate herd of cattle and the clock. As the team crosses the starting line to begin the competition, it is given a number that has been marked on three cows in the herd. The team has 90 seconds to separate those cows from the herd and drive them into a pen located at the opposite end of the arena. The team that pens the most of their marked cattle in the fastest time wins the event. In this timed competition, three barrels placed in a triangular configuration define the course. Exhibitors are required to run their horses in a cloverleaf pattern around the barrels. Riders may select either the front left or front right barrel to work first, but if a barrel is tipped over, a five-second penalty is added to the contestant’s time. In this event, exhibitors maneuver their nimble Paint Horses through a line of poles in the fastest possible time without knocking over a pole. For each pole that is knocked down or touched by the exhibitor’s hand as the team runs through the pattern, a five-second penalty is added to the contestant’s time. Controlled speed and agility are required of horses that compete in the stake race. In this timed event, exhibitors are required to run their horses in a figure eight pattern around two upright markers.Contestants begin the course in the center of the arena, and the clock stops when they return to the starting line. Wearing traditional English attire, riders in hunter under saddle present their Paints at a flat-footed walk; a brisk, cadenced trot; and a smooth canter. Competitors riding in hunter under saddle perform on the rail as a group. 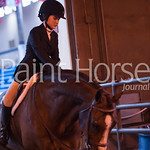 Hunt seat equitation competitors are judged on their skills in the saddle. Each exhibitor performs an individual pattern that tests his or her ability to maintain correct posture in the saddle while working their mount. The equitation rider is challenged over a course of fences in this event. Emphasis is placed on the rider’s ability to control and guide their horse as they accurately complete a designated course while maintaining correct posture. The course is similar to the working hunter class in that riders can be judged on their ability to establish an even hunting pace. How an exhibitor elects to ride the course, the pace and approach to the jumps are used to evaluate the exhibitor’s judgment and ability. In this class, riders are required to jump their mount over two fences, as well as demonstrate the horse’s ability to provide a pleasurable ride at a walk, trot and canter. A horse’s performance is judged 70 percent on jumping style and 30 percent on rail work. Consideration is given to horses that demonstrate appropriate manners, fluid performance style and that maintain an even pace. In working hunter, rhythm and style are the elements judges look for when evaluating competitors. In this event, riders individually jump their mounts over a series of fences that simulate obstacles found in the hunting field. Horses are judged on their ability to maintain an even pace and negotiate the jumps in a graceful manner. If a horse knocks down a fence or refuses to jump, points are deducted from its score. An event that uses mathematics to determine the winner, the jumping class tests a horse’s ability to clear eight 3- to 31⁄2-foot-high obstacles without a fault. If a horse knocks down or refuses to jump an obstacle, points are deducted from its score. In jumping, the horse with the least number of faults wins the event. Should two or more horses have the same number of faults, a jump-off is held, with the horse completing the course with the least number of faults in the fastest time receiving the higher placing. In this event, a horse is harnessed to a two-wheeled, single-horse cart and asked to perform at three different gaits: a walk, park gait (trot) and a road gait (extended trot). In pleasure driving, points are awarded for a horse’s ability to provide a smooth, pleasurable drive. Excessive animation and speed are penalized. Drivers compete in traditional attire. Generally, female exhibitors wear dresses or long skirts and jackets, while males wear coats and ties. All competitors are required to wear an appropriate hat. Paints entered in utility driving are asked to perform various maneuvers while pulling a two-wheeled, single-horse cart. Points are awarded for promptly and accurately completing tasks such as weaving through pylons and backing though obstacles. 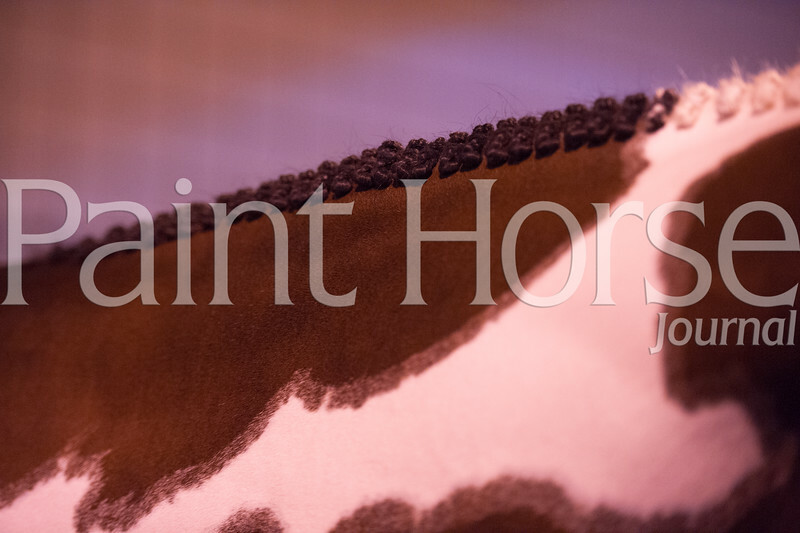 The horses placing at the top in halter classes reflect qualities that the judges feel most nearly represent the ideal. At the World Show, separate halter classes are offered for stallions, mares and geldings. The classes are further divided by the age of the horse. In halter competition, a weanling is a horse that is younger than 1 year of age. A yearling is a horse that is 1 year old. Classes for 2- and 3-year-olds are designated by their age groups. The term “aged” refers to horses 4 years old and older. All Paint Horses have a universal birthday of January 1. Mares and geldings may be shown in Youth, Amateur and/or Open classes. Stallions may be shown only in Amateur and Open halter classes. 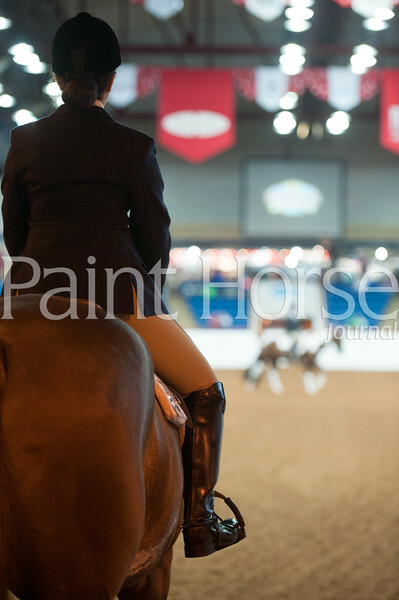 Solid Paint-bred halter classes for mares are offered at the World Show. In these classes, solid-colored registered Paints are judged on conformation. A wide variety of colors and endless coat patterns make Paint Horses unique. In the tobiano and overo color classes, horses are judged 100 percent on the most ideal markings for their respective coat patterns. 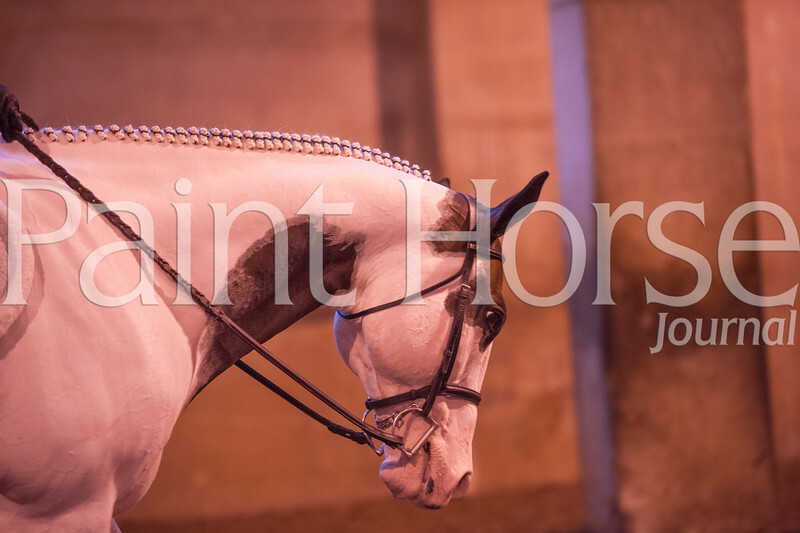 While there are three major coat patterns exhibited by Paints–overo, tobiano and tovero–only overo and tobiano are judged in this class. These two patterns are distinguished by the location of color on the horse. 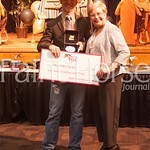 Rather than assessing a horse’s conformation, showmanship evaluates the exhibitor’s ability to fit and present a horse. Each competitor is asked to perform a pattern in which his or her ability to lead and pose a horse in a prompt and courteous fashion is judged.